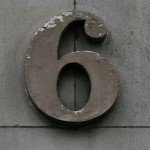 Imagine that you are a lay person in your congregation (many of you are). We are preparing the church bulletin. 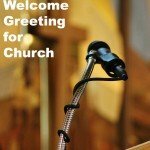 Would you like to be our liturgist and give the welcome speech on Sunday? Your heart races, the mouth goes dry. Me? I have to say something in front of all those people? 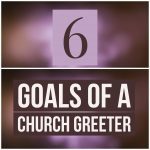 Many church members, pastors and greeters have forgotten what it’s like to be a church visitor. When our family moved in 2014, I got to experience afresh being that first time visitor. 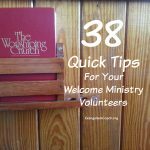 I experienced first hand what it is like to be that visitor and used that empathy to develop a quick list to help you improve your welcome. 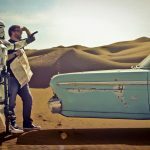 This week, I had a hospitality coaching call. The client was in charge of starting a hospitality and welcome ministry in a startup storefront church. Under 20 people attend on a Sunday at the moment. 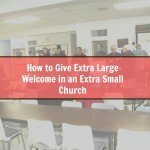 How can an extra small church give a good welcome? It’s a challenge when the extra small church still has some awkwardness to the Sunday morning gathering.